Our goal is to make available and accessible the powerful and therapeutic benefits of herbal medicine. We strive to reach and help heal as many patients as possible through our network of practitioners. We provide high quality compounding services for Raw and Granular formulas for practitioners. Our facilities are your facilities! We are your virtual pharmacy. Our single standing 1200 sq/foot building has been designed to implement clean and efficient practices. We have the ability to store, cook and process herbs as needed by practitioners. We offer over 400 Raw and 350 Granular herbs and many other herb related products such as linements, poultices, tinctures etc. We use stainless steel equipment and fixtures to ensure cleanliness and accuracy. Our highly calibrated scales ensure accuracy and reliability. 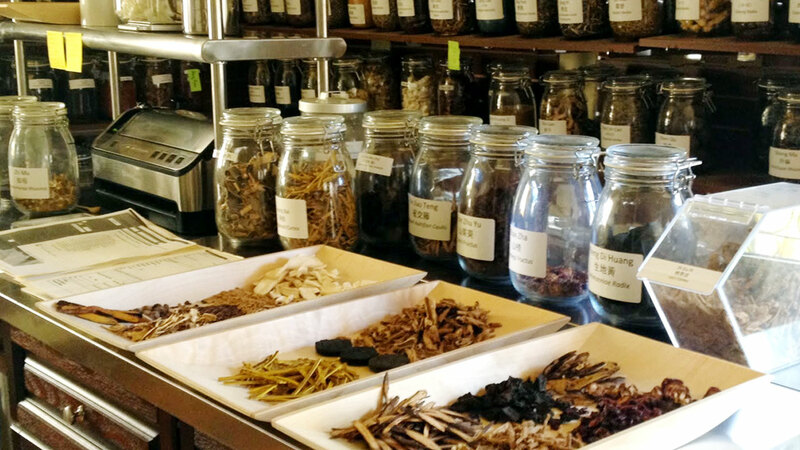 Our staff is composed of only graduates or students of Chinese Medicine with a well rounded understanding of the herbs that are being prescribed. Our facilities are your facilities! We are your virtual pharmacy. Once your order has been submitted our fulfillment facility will immediately begin making your orders. We offer a variety of compounding services to help increase efficacy and patient compliance. Our research shows that different delivery and preparation methods not only increase patient compliance, but can also increase effectiveness. Increase compliance by using our decoction service. Our decoction machine has the capacity to make single liquid packets ready for consumption. Your patients will not longer have to spend hours boiling, straining and watching over a stove. Our single liquid packets can be stored in a refrigerator even frozen for future consumption. One of the most powerful elements of herbal medicine is customization. Herbalists have the ability to customize formulas to meet the needs of their patients. Unfortunately some patients can not handle the taste or raw or granular herbs and would prefer taking tablets. Our facilities offer tablet making solutions so that you can prescribe custom formulas in tablet form. We can help you market and spread your clinic name. Simply upload your logo onto our site and we will place your logo on all of your patients prescription bottles and documents. Your clinic will gain credibility and benefit from the services you now offer! See the full list of pharmacy services available to our MyHerbPharm partners, as well as pricing and expected turnaround times. Our pharmacy was designed and is operated by licensed herbalist and students of herbal medicine. Rest assured that our staff will be able to assist you should you ever have technical questions or special requests. For assistance call 619-501-7603.